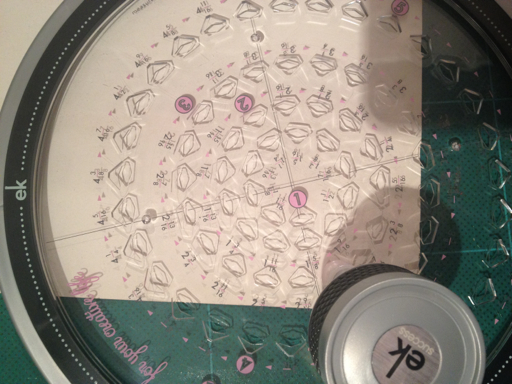 For this card I wanted to use my new toy, a circle cutter from EK Success. 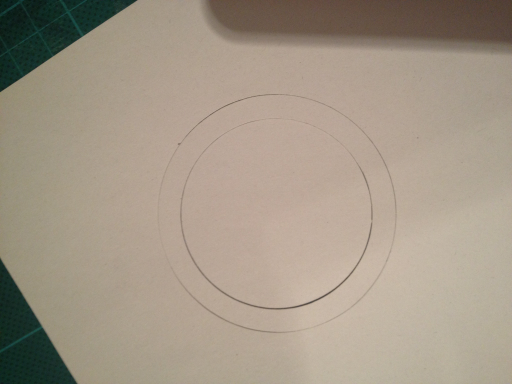 Made a ring from a beige paper. 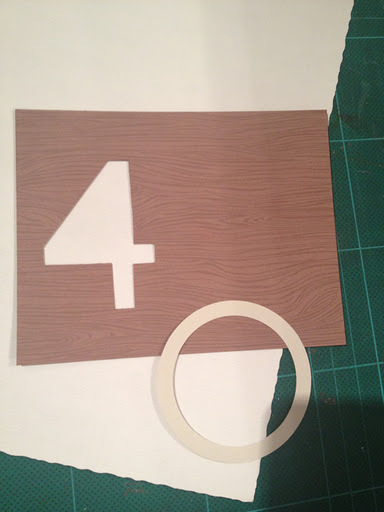 Then I took the pre-printed card with the Hero Arts digi Woodgrain Pattern and cut a 4-shaped hole in it (by hand this time), and chose a white paper for the card. 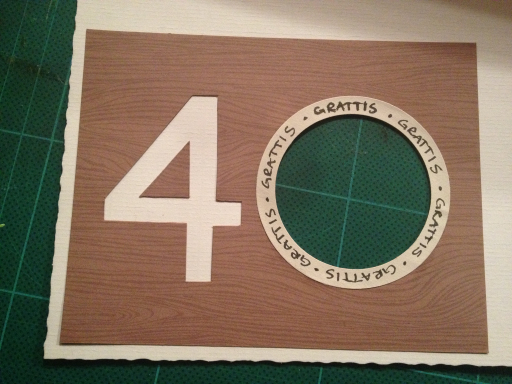 Glued the wood paper on the card, and cut a hole for the 0. I then wrote Grattis on the ring and mounted it on top of the hole. 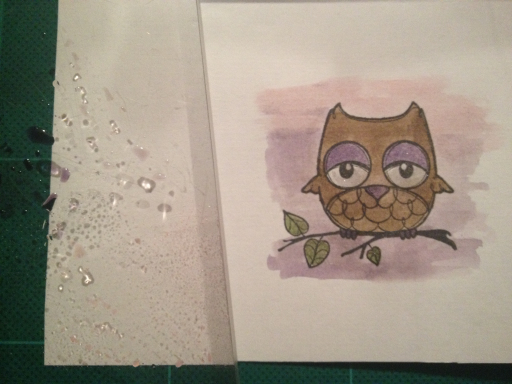 I then stamped the owl from The Greeting Farm's Forest Friends inside the card. 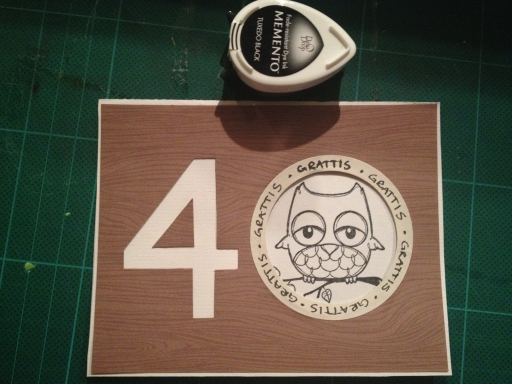 Also trimmed the card to it's proper size. 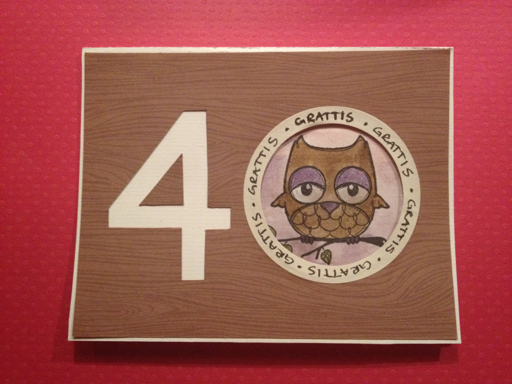 Finally I colored it with distress inks Weathered Wood and Dusty Concord. And a little Spun Sugar for the sky.